This fascinating book brings together an extraordinarily diverse collection of insights, from a wide range of experts. A broad overview is created by the foreword, from Jumbo Klercq. 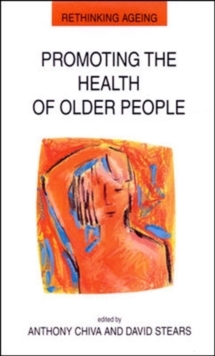 This sets the scene for the subsequent chapters which examine more specific approaches and ways of tackling age diversity and ageing in the workplace. A key contribution, by Sarah Harper, analyses the research and evidence on factors which impact on older workers. This is complemented by an exploration of older workers' attitudes to work based on primary research undertaken by Stephen McNair and Mat Flynn. 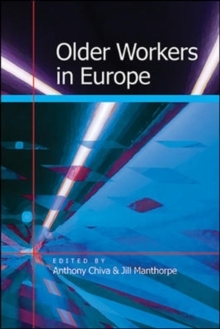 Chiva and Manthorpe also include examples of innovative practice in working with individuals, employers and intermediaries and feature contributions from researchers in the UK, France, Poland, Spain and Norway.Older Workers in Europe is ideal for students of gerontology, social policy, sociology and human resource management. It will also be of interest to policy makers and professionals working in the fields of employment and guidance, policy, economics, labour force development and research.